Well no, it was actually this simple, I love to spoil my dogs, I really do, but, there was such an overload on goodies and treats, that I actually started to make them fat. And that is not good ofcoarse. 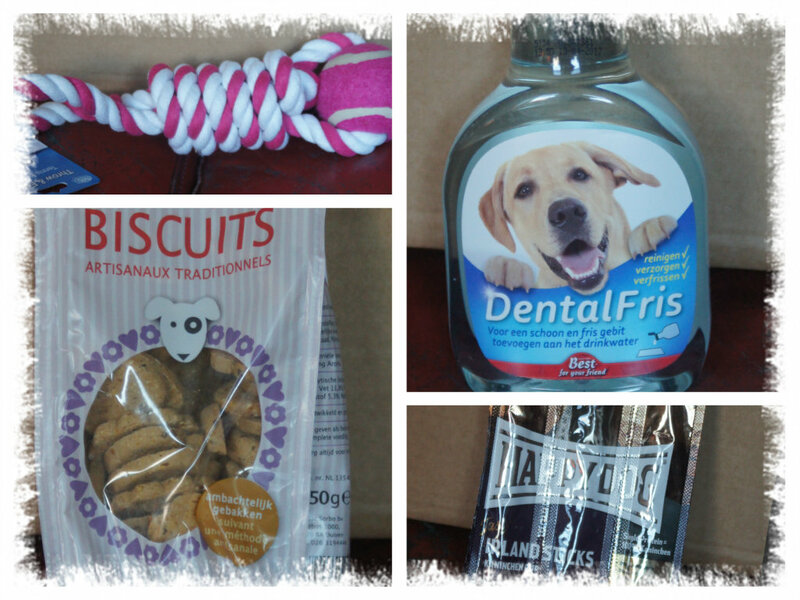 When my last woefbox arived I didn't even gave them all the treats that where in the box of a month before. So I decided to skip just one month, and see what is left of all the goodies. 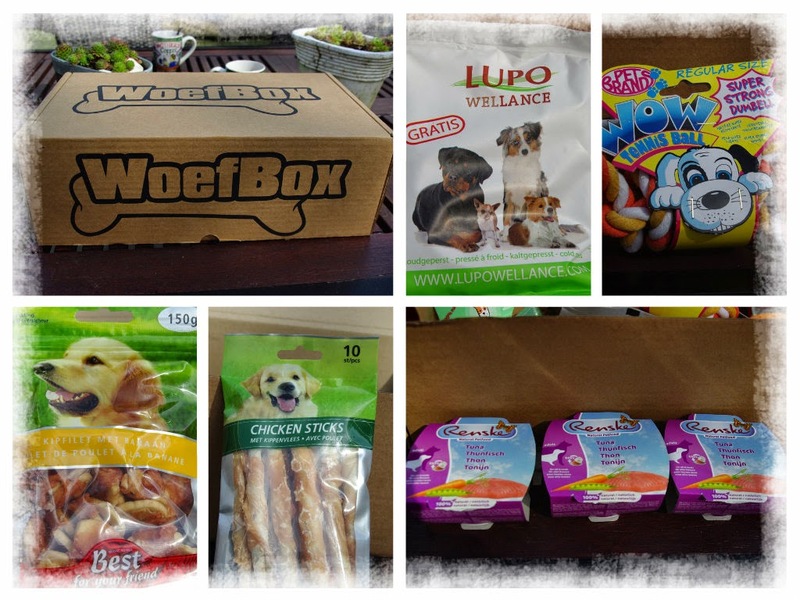 If all is eaten and gone, and it seems the dogs are not growing fat, I will again order a new woefbox, because I find it so much fun to unpack it. 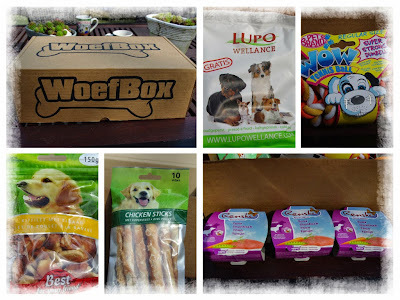 The subscribtion to woefbox is also 3 in a row, and then it stops. My first box was bought on the Animal event so I had 4 months in a row. It looks now that at the end of this month most of the goodies are given, and I can take a new subscribtion again, if not then maybe in november.